Crochet braids have become increasingly popular as an alternative to traditional method of pick and drop braids - just put your hair into canerow (cornrows) and get looping! Looping? Huh? 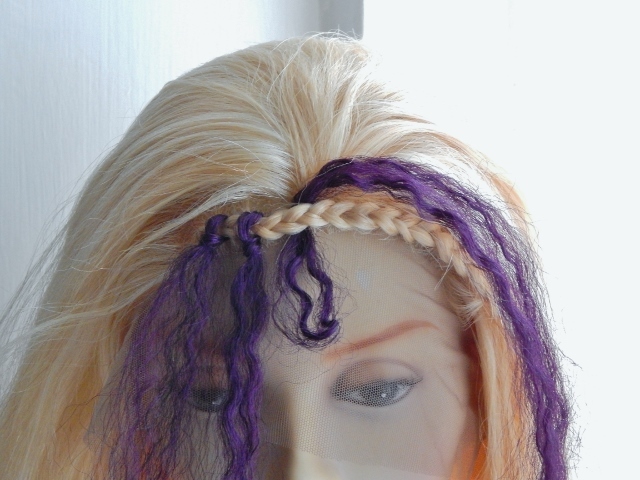 The crochet part of the term relates to the looping technique required to attach the hair extensions and the braid part of the term refers to the braiding of the hair extensions – the only thing missing from the term is the fact that your hair has to be in canerows (cornrows). 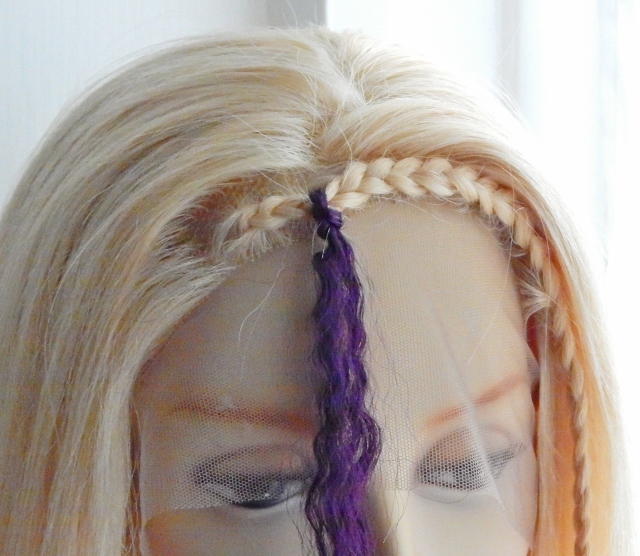 Some folks like to tie a single knot in the crochet hair braiding extensions to secure them, and others prefer to double or triple loop as this can help when it comes to removing hair extensions. As this mini guide is an alternative method from step 8 in the in the main crochet hair braiding guide, all steps are numbered as 8.x and you can click on the images to enlarge them. The hair extensions have been pulled through the canerow and the bobby pin removed. Lift the looped part of the hair extensions and pull the long ends through the loop as in the image but don't tighten the loop against the canerow (cornrow) as it needs to be twisted for the next step. This is the primary loop; all crochet braids which use a looping technique always a primary (first) loop. Twist the primary loop of hair extensions the same way you would twist a hairband when tying a ponytail (the loop should now look like the number 8). Pull the long ends of the hair extension through the large (second) loop like you would when tying a ponytail). The hair extensions have now been double looped. Skip this step if you want a third loop. If you're content that the hair extensions are secure, pull the tail ends of extensions to tighten the loop against the cornrow (canerow) but not so tight that you can feel it tugging at your cornrowed hair - if you want a third loop. After pulling the hair extensions through the second loop in step 8.4 twist the loop a second time to create the third loop. Pull the long ends of the hair extension through the (large) third loop like you would when using a hairband to tie a ponytail. The hair extensions have now been treble looped. 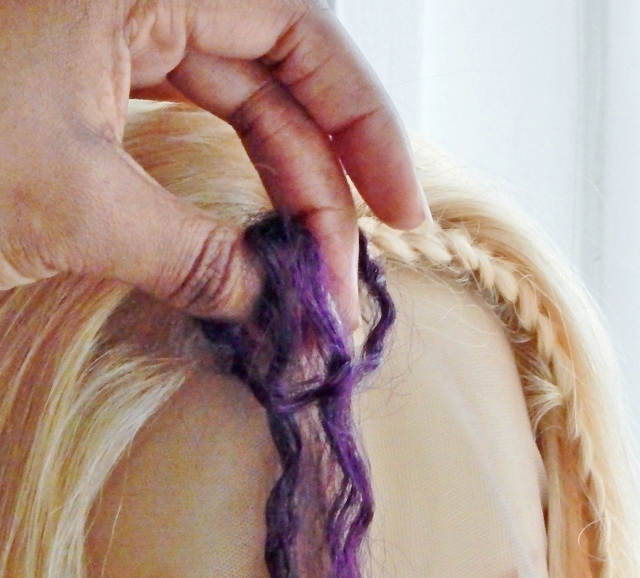 Pull the tail ends of extensions to tighten the third loop against the cornrow (canerow) but not so tight that you can feel it tugging at your cornrowed hair. You can now twist, braid or leave your hair extensions free flowing. Crochet braids can give the appearance of the hair extensions being natural growth hair – as all-rounders go… this is 360˚ of greatness! You can find out how to wash your crochet hair braiding extensions, with our handy guide and if you want to be the first to know about our next guide about how to make wig or anything else to do with lace wigs, hair extensions or hairpieces, then why not join our blog, it's easy to do and doesn't require an email address.